Managing offshore projects resourcefully is our nature. Our capability cuts across a wide range of services and we have successfully delivered projects up to date, ensuring the highest quality, safety consideration and cost effectiveness. With the use of our seasoned professionals with over 60 Man- years of experience within the offshore construction business. We have delivered multi million dollars projects for our clients using a synergetic thinking and collaborative approach. Our success rest upon our capability to forecast, plan and manage limited resources through a well-defined structure and programs which we develop with our clients and stakeholders in mind. We have successfully delivered Engineering, procurement, construction and installation (EPC &I) projects using specialised software’s for planning, monitoring and control of relevant project parameters. Off all our services which encompasses the following; pipeline and piping engineering, structural engineering, computer aided design and drafting, process engineering, construction, fabrication and installation, maintenance ,project management is the life wire linking all our services. 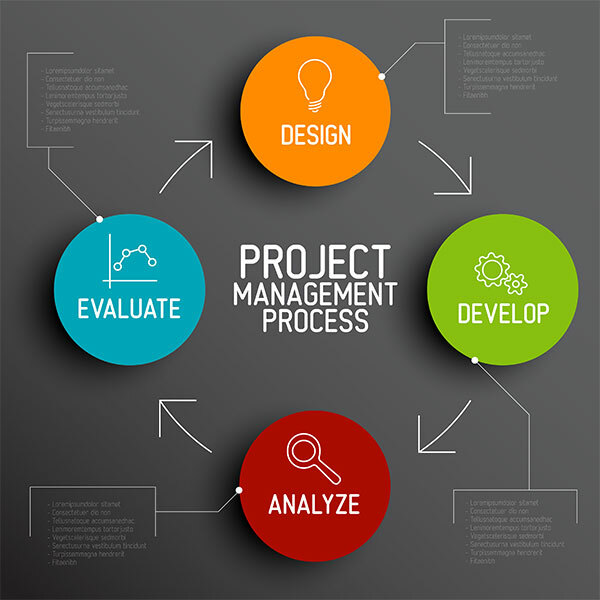 This is because the planning, coordination/supervision and controlling of all task covering the numerous engineering and trade vocation throughout all our operations is carefully programmed for success using our project management model shown below. This model was carefully captures from our operations and over the years has been improved upon to suit and reflect all aspect of our business. With our recent alliance with Subsea and EPCI giants in Asia, our project management capability will be extended to cover subsea operations such as subsea equipment fabrication/construction, offshore survey, subsea installations, ROV operations and under water inspection. Our future in the offshore business and managing projects is constantly growing and we are evolving from a local company into a regional leader.